Hands up now. How many of us would use document-type films if we could guarantee consistent results? I suspect the proportion might be quite large. It's the troublesome issue of that guarantee that's the problem, isn't it? Yes, these films can be very slow but in decent light with a fastish lens you can still shoot handheld at reasonable shutter speeds. Use a tripod and you'll be blown away by the quality that's on tap when you get everything right. So although ISO 12 or whatever might seem an impediment, it needn't necessarily be the case. The first person I heard of who was using a "normal" developer to handle the inherently high contrast of these document films was an English photographer called Hugh Milsom. He gave a talk at a meeting of Dundee Photographic Society and revealed that he souped Kodak Technical Pan in Rodinal using, if I remember correctly, something like 2 mls per 150 mls of water. Hugh had some great results from this combination and seemed to prefer this to Kodak's own tailor-made Technidol. 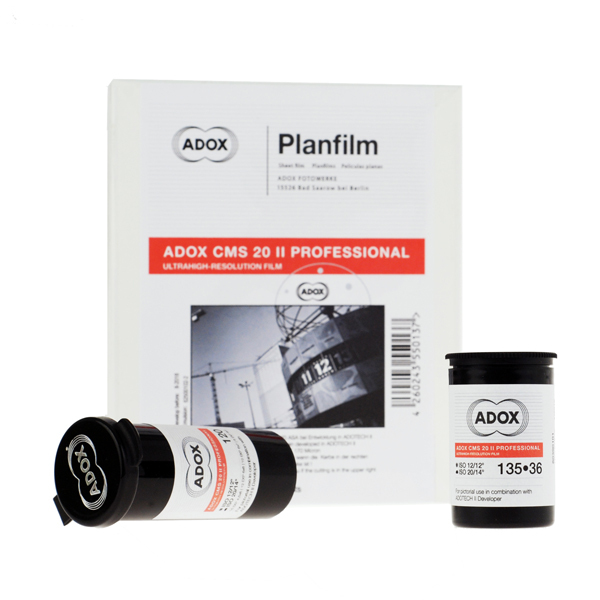 Since the sad demise of Technical Pan, Adox has been upholding the ultra fine grain, ultra sharpness end of things with CMS 20 II and produces its own bespoke developer (it's actually made by Spur, I believe) called Adotech. I've tried it and, as I said in my previous post, the results were patchy. Absolutely fantastic when you hit the sweet spot but lacking in shadow detail in bright sunshine. It's not just something as simple as increasing exposure either to cure this problem as that can push the highlights to new, unexplored heights. The best way of using the film, I found, is to treat it like slide film and bracket a lot. So, given these issues, the feeling has grown amongst some photographers that there might be a way of getting the most from CMS 20 II using something that many will already have in darkroom cupboards. I found some interesting stuff at the website of David Bivens a while back. He liked the results he was getting from CMS 20 developed in Diafine. Sharpness and grain seemed little changed from the dedicated Adox developer but his images looked to be lacking some shadow detail to me. I can imagine this combination being perfect for the gloomy day shots I like where shadow detail isn't so much of a problem. This information a few years ago on the APUG forums from Henning Serger in response to a question puts the CMS 20 II potential into some context. Personally, I don't really use analog for color (at least not yet), but I've been playing around with B&W for a while, and especially with medium format (I just love my 645 system, as well as my little 50s folding camera). So I thought, maybe there's a B&W film with especially high resolving power, and so I searched wikipedia for the same without any good answer (only Maco). So I'm asking, what film, still available for sale in major stores (such as Tri-X, T-Max, Delta, Efke or APX) has the highest resolving power? Same goes for chemistry, and paper. (From Henning) Yes, there are some BW films with significantly higher resolving power than the best color slide films. Modern BW paper is not the bottleneck for resolution. We did lots of test prints with APO enlarging lenses and Ilford Multigrade IV and Adox MCP/MCC and the resolution loss in the optical printing process is rather minimal, about 5 - 10%. So, if you are working properly, you can print most of the high resolution onto paper. With higher resolving developers like Spur HRX-3, Rollei RLS / CG 512, Microdol-X (1+3),Finol or Perceptol (1+3) you can gain about 5 - 10% higher resolution values compared to developers like Rodinal or D-76. For microfilms and technical pan films (they are not the same, different technology, different applications) you need special developers for combining high resolution and normal contrast for daily photography. We have tested different developers and found the new Spur developers by far the best for these films. Spur Orthpan UR / Adox CMS 20 with Spur Modular UR New developer (Part A2 + part B): very good characteristic curve and tonality at ISO 4 - 5, five minutes development time. ISO 32-40 and excellent characteristic curve and tonality. Excellent shadow detail and highlight separation. Better results concerning tonality than with lots of conventional film / developer combinations. 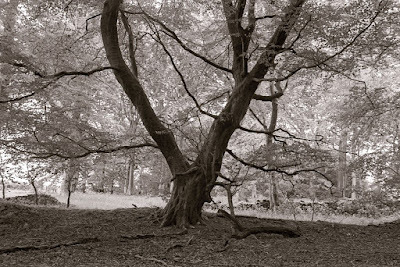 For photographers who were so far unsatisfied concerning tonality with CMS 20 or Agfa Copex Rapid with diluted Rodinal, TD-3 or Pota we recommend the Spur Modular UR New (or new Adotech II for CMS 20) for much better results. Real technological progress has taken place in the area of special developers for micro- and tech pan films (new ATP DC A/B developer, also made by Spur, for the ATP tech pan film). There was one statement that you can see the resolution advantage of the high resolution films (CMS 20, Agfa Copex Rapid, ATP) only in big enlargements. The difference is very obvious and clearly seen even in 20x30 cm (cm, not inch!) enlargements. The high resolution films have significantly finer grain, resulting in smoother tones as well, and a higher resolution of low contrast details. And this advantage is very obvious at smaller enlargements. Detail rendition is better. I can always tell whether my smaller 20x30 cm prints are from a Delta 100 or TMX, or from Agfa Copex Rapid, ATP and CMS 20. The Online Darkroom reader Scotty Elmslie of Jacksonville, Florida, sent me some pictures and text of his experiments thus far in case it might be of interest to other readers. Scotty is on a quest to find a suitable replacement for Adotech, partly for reasons of economy as the Adox developer is quite expensive in the US. Given that my old post about Adox CMS 20 is the seventh most popular from almost 450 I've written and that the number one position is held by a brief "first look" review I did of Adox CHS 100 II, I'd say that there seems to be considerable interest in both Adox products and CMS 20 so I'm more than happy to share Scotty's efforts with you. With the introduction out of the way, it's time to hand over to Scotty. I've decided to split his article over two posts with part two probably published on Friday. This film is described by Adox as “orthopanchromatic”. It is a little deficient in red and more sensitive to blue. This was not easy to confirm in my tests since the weather was overcast for my first two rolls and cloudless for the third and fourth rolls. The film base is crystal clear, thin and somewhat curly. Much of the challenge presented by this film is because it probably started out as an orthographic film for use in lithography. It is by nature a very high contrast film and you need to develop it very little to get a relatively normal negative. The characteristic curve appears to be unusually shaped but if you scan the film you can probably normalize it to make produce a more traditional range of tones. This might be more challenging in a wet darkroom. Rather than attempt a rigorous, scientific test for which I am not equipped, I decided to do a test using real subjects and available light – direct sunlight, overcast daylight and indirect daylight indoors. I used a Nikon F100 and a Nikon 50mm f/1.8G lens with a light yellow filter to expose the test rolls. 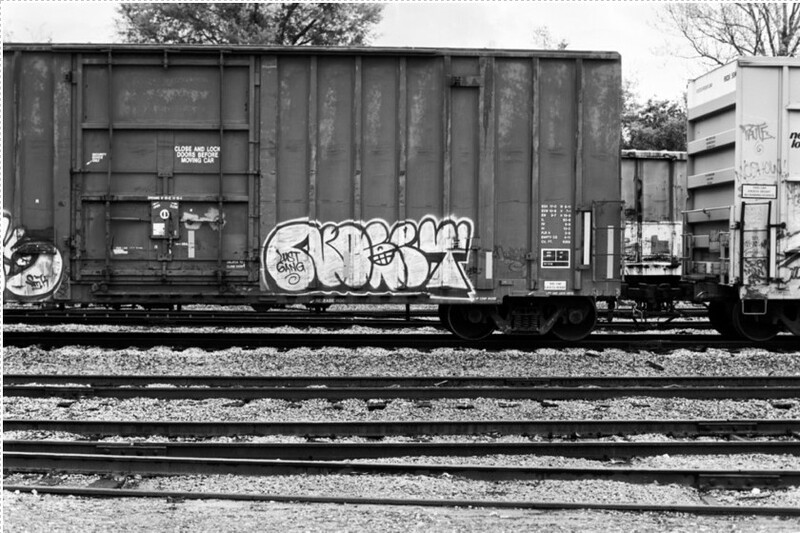 For the first roll I also used an orange and red filter as well as a Nikon 35mm F/2 D lens. Each subject was taken using aperture priority, 3 frames bracketed at 2/3 or 1/3 stops. The middle ISO was set on the camera and each exposure was determined using matrix metering, through the filter (when I used one). This is my normal approach for 35mm photography. I sometimes bracket when in doubt. The film was developed in a 250 ml stainless steel tank using 240 ml of developer at 69F and 70F. The film was scanned with a Nikon Coolscan 9000 ED at 4000 dpi. The only adjustment made during scanning for a few frames was to the gain setting. After trying Diafine with Pan F+ (disappointing) I tested the first roll of CMS 20 II in Diafine at ISO 32/20/12 with a light yellow filter. Diafine is supposed to behave somewhat like a compensating developer and reputed to increase film speed in some cases, notably Tri-X. I exposed a variety of subjects, indoors and out. For all exposures the contrast was too high but ISO 12 seemed to come closest to holding any shadows detail. Agitation was minimal at 3 minute intervals but development was uneven around the sprocket holes. Exposed at ISO 16/12/10 with Rodinal 1+79 (3 ml in 240 ml) for the equivalent of 15 minutes at 68F with 10 seconds of agitation at 3 minute intervals. Contrast was still too high but development was even. Contrast is still a little harsh. In Part Two, we'll show the results of Scotty's third and fourth rolls and his conclusions thus far. I thank you for the hard work Scotty. I'm waiting for part two. But my experience with HC-110h is similar to the authors. I haven't tried Orange and Red filters which I will next roll. I still long for the days of H&W film (I think it was Kodak Tech c.1970) and their developer. I really tamed that contrast. 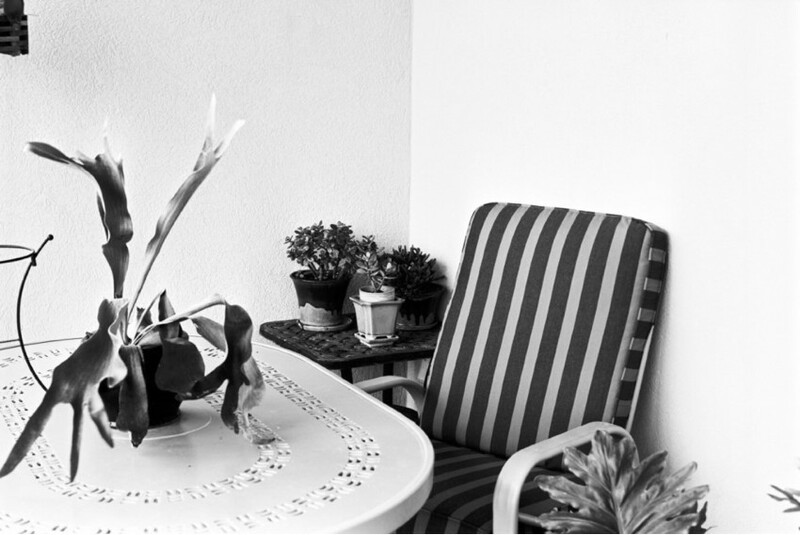 I have been futzing with ADOX CMS II 20 a bit. I am using various cafenol recipes to get different results but the one thing that is clear, and most remarked upon is the lack of shadow detail. I have yet to try a long duration stand development, but suspect it may aid the darker regions of the exposure. But, don't let that make you think the iso is less than 20. The problem isn't iso, but rather, abysmal reciprocity failure. The film grain and by extension, silver halide crystals are very small. This means the film requires a higher flux of photons in general to properly expose the film. I would argue CMS 20 is iso 20 from about EV 17, or higher, to maybe EV 14. The reciprocity chart given in the documentation gives failure as something like half a stop for every power of ten in time for a second and lower, but the failure begins at higher speeds. Shooting at 1/500 and IE 20 will give better results than IE 20 and 1/50. By 1/50 the film has lost two thirds of a stop speed and is already at iso 12. At a second exposure, it's much less. The film was designed for bright light exposures and high resolution/fine grain, not to be used for varying contrast exposures. I have used it for architecture and city scape shots, and rather like the results. If you are shooting in anything but bright midday sun or studio lighting, reset your IE. If you have a situation where you have shadows and well lit details and you want both? Then it's time for stand development. But the resolution is unmatched.